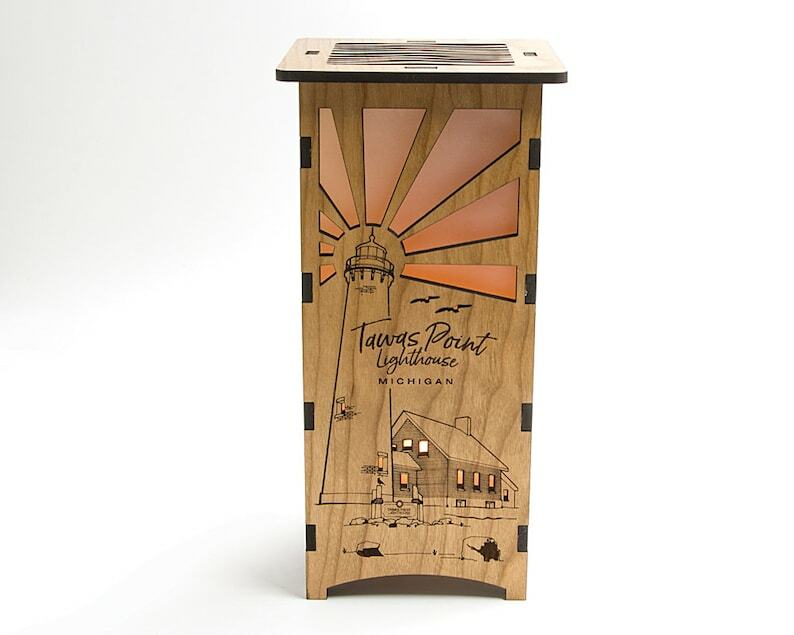 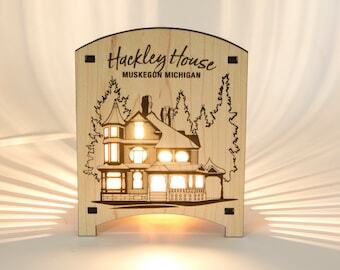 Our Tawas Point Lighthouse Lantern features a sunset scene behind the Tawas Point Lighthouse building. 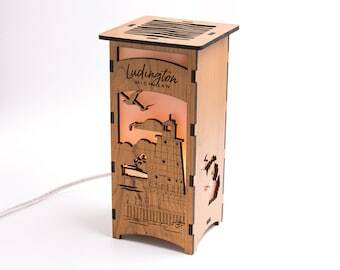 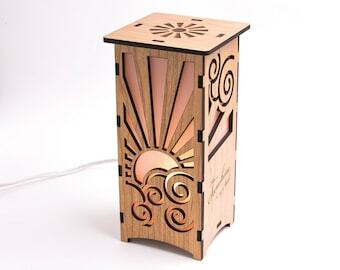 The front includes engraved lighthouse details and cut out sun rays. 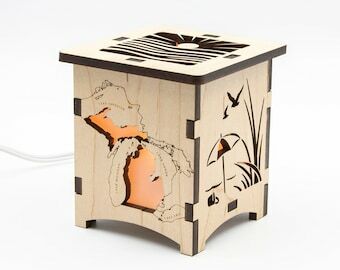 Each side shines with a cut out map of Lake Michigan and a star right at the location of Tawas Point, and a map of Lake Huron. 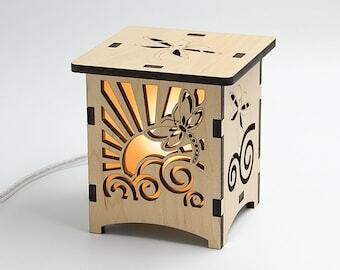 The top of this lantern features cut out wave details. 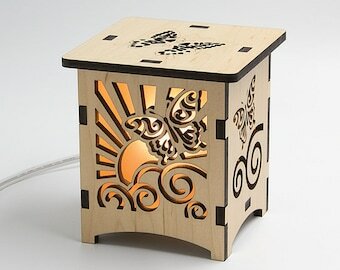 The design on the top of the lantern is not backed by vellum; this allows the pattern to shine on your ceiling.